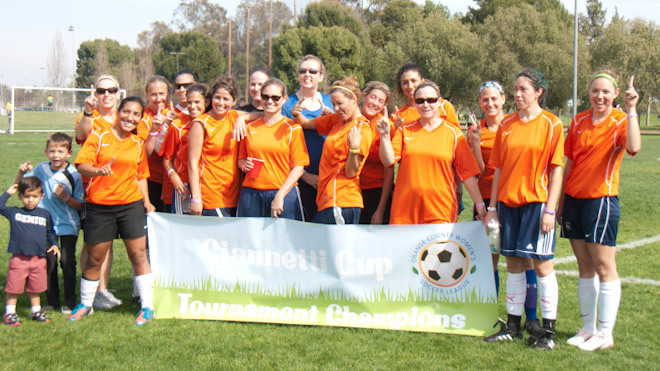 OCWSL hosts the annual Giannetti Cup (eleven-a-side) and the Summer Sizzler (six-a-side). These tournaments are open to all teams around the country. Proceeds from these tournaments support the OCWSL Scholarship Award Fund and donations to local school women’s soccer programs. We also like teams to know about other local and regional tournaments. Check out our Events page for a list of upcoming tournaments.